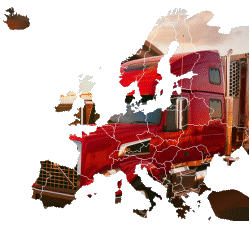 We offer fast and safe deliveries in Croatia and across Europe. Hungary, Poland, Czech Republik, Austria, Germany, Italy, France, Great Britain… are only few of destinations on our transport map. With constant studying of traffic regulations and transport technology we have built efficient transport network which allows fast and safe delivery to any part of Europe.